Party Mix includes free software that you can download from our website. You have absolute control with Party Mix on how you want to mix, blend, loop, add effects and sample. Manage your music, using your iTunes playlists or put together your own great playlists and create your mixes. Jumpstart your inspiration with 6 sample packs from Prime Loops including over 380 premium instrumental loops, drum kits, one-shots, and more. A $200 value. Remix with the sounds of the world’s premier electronic music label. Mixtrack Pro 3 gives you exclusive access to download studio-grade audio stems from the Toolroom Records catalog, allowing you the freedom to layer, tweak and chop today’s most relevant sonic textures. 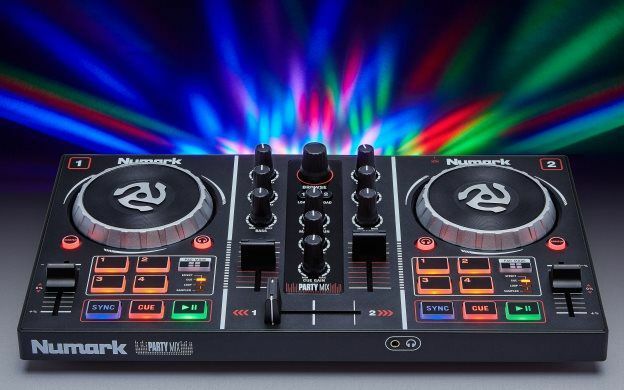 Here it is—the Amazing Mixtrack Pro 3 DJ controller. 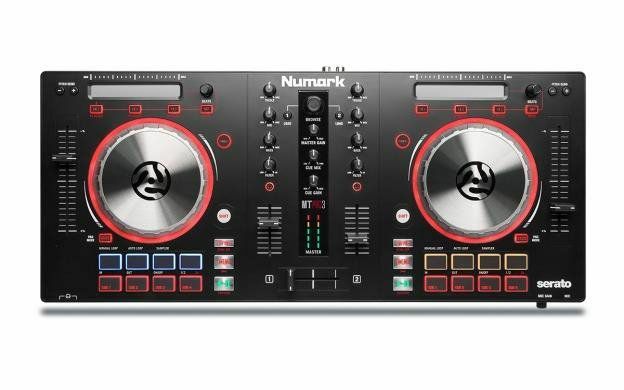 This controller offers a whole host of features and performance that sets it way above conventional DJ controllers, yet it offers great bang-for-the-buck and it’s a snap to take anywhere. The place is hot. The action is non-stop. You’re the one in the driver’s seat. We make sure you have the horsepower to get it done. Mixtrack Pro 3 will never let you down. We’ve kept everything you loved about the Mixtrack Pro 2, but now there’s even more. How’s this—we give you 100mm pitch sliders that make it easy to perform even the finest pitch adjustments, so it’s easy to keep two cuts in perfect beat sync without any drift. Other people’s 60mm pitch sliders can’t come close to matching this performance. 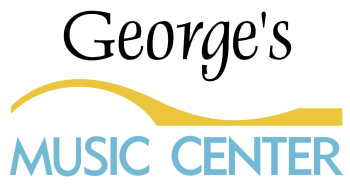 We make you look and sound great! Dive into our 16 multi-function backlit performance pads and add loops, launch samples, and control hot cues to your performance. Use the multi-function touch strip for dynamic FX control and track search operation. There are dedicated filter knobs for each channel, to give you just the exact amount of tonal control you need for that perfect sound. If you can think it, Mixtrack Pro 3 will do it. Get precise control over every track and every transition with Mixtrack Pro 3’s advanced low-profile rugged metal platters. They are capacitive and dual-zone, giving you the ability to scratch or stop a track simply by touching the top of the platter, while at the same time allowing you to adjust the pitch by manipulating the platter from the side. Heavy-duty metal stands up to the hottest action, night after night. Mixtrack Pro 3 gives you comprehensive control over its included Serato® Intro software. Plus, it’s class-compliant with both Mac and PC, so you’ll be able to plug in and start mixing your music right away—no drivers or complicated set up necessary. Serato DJ Intro is all about parties and mixing music. Simply plug-and-play—Serato DJ Intro and Mixtrack Pro 3 take the hassle out of setting up: connect your speakers to your Mixtrack Pro 3 and connect your Mixtrack Pro 3 to your laptop—it's that simple. Mix it up—Beatmatch and scratch music files from your computer like a pro with Serato DJ Intro's groundbreaking colored waveforms. Get creative—Cue Points and Loops let you mark, access, and repeat specific parts of a song, while Serato’s DJ FX infuse your tracks with a range of professional effects like flanger, phaser, echo, and more. Drop it—Drop air horns or entire tunes; the four-slot sample player will help you layer individual sounds to add even more fun to your sets. Create professional sounding mixes at home or performing live at parties, functions, and clubs. Mixtrack Pro II operates via standard MIDI, so it’s compatible with virtually any popular DJ software. With its built-in audio system, Mixtrack Pro 3 is ready to go right out of the box. Plug in your headphones, microphone, and PA system and start mixing right away with no external audio interface needed. Plus, Mixtrack Pro 3 has two headphone jacks, making it easy to mix with friends and fellow DJs or tradeoff in-between sets. This controller gets its design inspiration from no-compromise professional units like our NV controller. The MIXTRACK PRO 3 is a performance-driven design, but with a sharp eye on value. Start mixing today like the pro that you are! Serato is a registered trademark of Serato Audio Research. 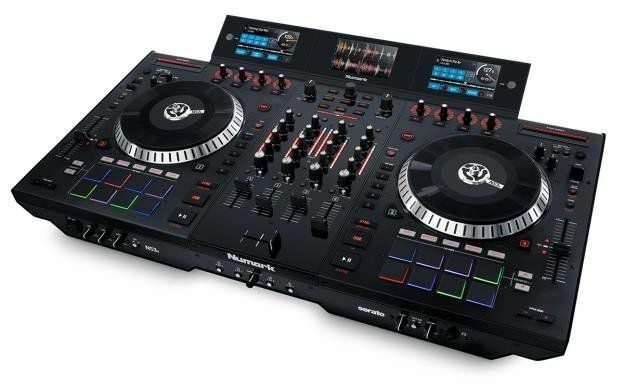 Now You’ve Got It — the Exciting Mixtrack 3 DJ controller. 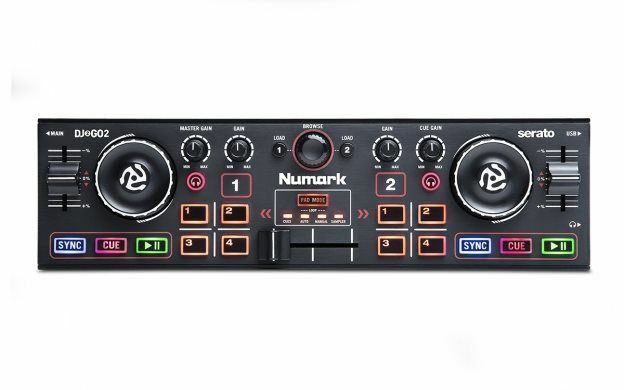 From Numark the world’s leading innovator of DJ equipment and technologies, comes the incredible Mixtrack 3 DJ controller, designed with the skilled, professionally-aspiring DJ in mind. 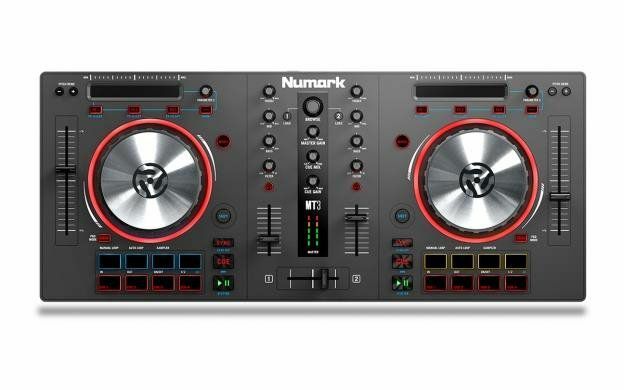 It’s the latest addition to the Numark family of industry-leading DJ solutions. When action is non-stop, we make sure you’re the one in the driver’s seat. We give you the horsepower to get it done. Mixtrack 3 will never let you down. We’ve kept everything you loved about the Mixtrack II, but now there’s even more. How’s this—we give you 100mm pitch sliders that make it easy to perform even the finest pitch adjustments, so it’s easy to keep two cuts in perfect beat sync without any drift. Other people’s 60mm pitch sliders can’t come close to matching this performance. We make you look and sound great! Dive into our 16 multi-function backlit performance pads and add loops, launch samples, and control hot cues to your performance. Use the multi-function touch strip for dynamic FX control and track search operation. There are dedicated filter knobs for each channel, to give you just the exact amount of tonal control you need for that perfect sound. If you can think it, Mixtrack 3 will do it. Remix with the sounds of the world’s premier electronic music label. Mixtrack 3 gives you exclusive access to download studio-grade audio stems from the Toolroom Records catalog, allowing you the freedom to layer, tweak and chop today’s most relevant sonic textures. Get precise control over every track and every transition with Mixtrack 3’s advanced low-profile rugged metal platters. 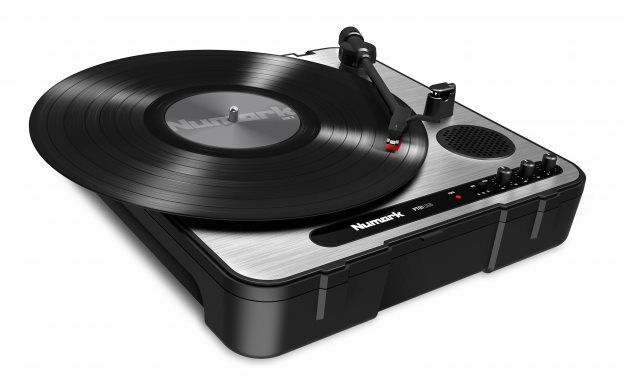 They are capacitive and dual-zone, giving you the ability to scratch or stop a track simply by touching the top of the platter, while at the same time allowing you to adjust the pitch by manipulating the platter from the side. Heavy-duty metal stands up to the hottest action, night after night. Start mixing right away—with the included Virtual DJ LE software you can create professional-sounding mixes at home or easily upgrade to Virtual DJ Pro for performing live at parties, functions and clubs. Plus, Mixtrack 3 operates via standard MIDI, so it’s compatible with virtually any popular DJ software. The MIXTRACK 3 is a performance-driven design, but with a sharp eye on value. Start mixing today like the pro that you are! Listening and recording vinyl to your computer is a breeze with the PT01 USB. 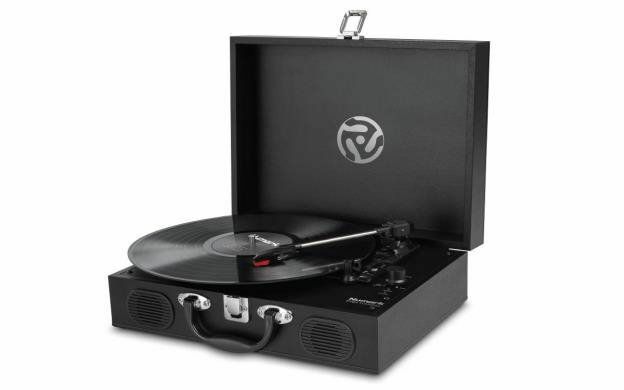 This portable turntable is tough and durable, so you can take it with you anywhere. The PT01 USB comes with a built in loudspeaker and pitch control (±10%) to play your favorite 33 1/3, 45 and 78 RPM records. The hard dustcover protects the PT01 USB and has a carrying handle for convenience. Take your precious vinyl collection and convert your music over to .wav or mp3 with the free downloadable EZ Vinyl Converter software. Works perfectly on either Mac or PC. With EZ Vinyl Converter software, your music is separated into individual tracks directly to your iTunes library. Preserve your vinyl collection forever! In addition to the built-in speaker, you can send your music to powered speakers via the RCA line-level outputs, and you can also enjoy private listening with your headphones via the 1/8” headphone jack.